Successfully saved Cacao and Hazelnut Granola (gluten free) to your Calendar. You can also save the ingredients to your Grocery List. 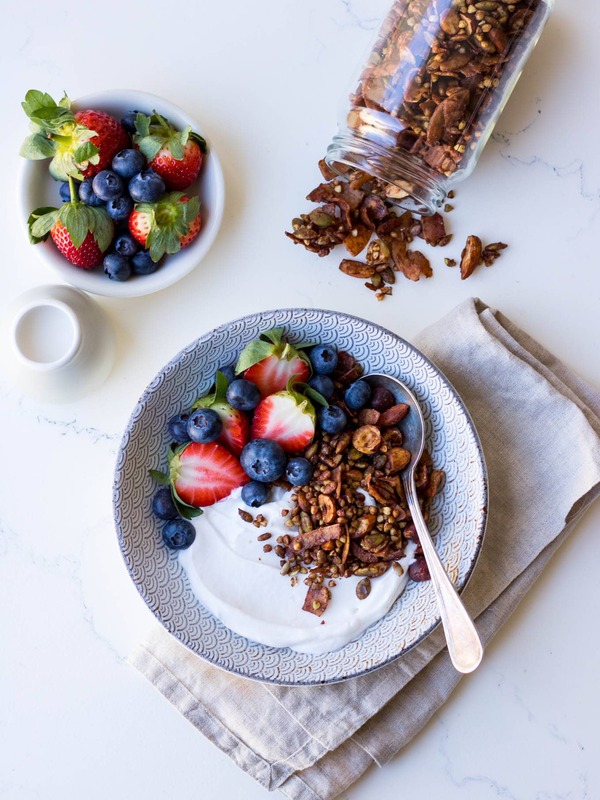 This grain free cacao hazelnut granola is super dense and perfectly sweetened with maple syrup. Made with a blend of buckwheat, coconut, seeds and nuts, it's gluten free, dairy free and vegan friendly.